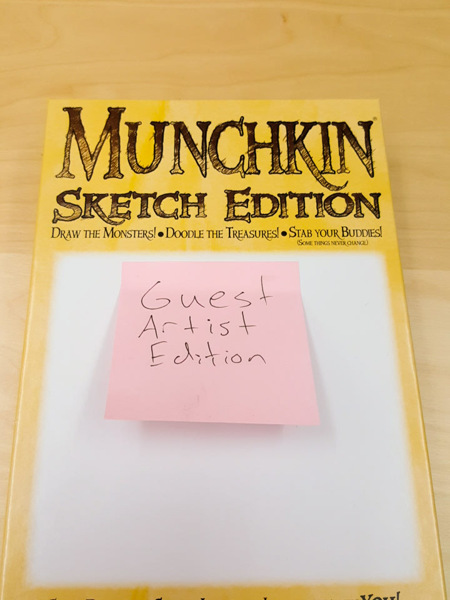 Daily Illuminator: Announcing Munchkin Sketch Edition Guest Artist Edition! April 1, 2016: Announcing Munchkin Sketch Edition Guest Artist Edition! We are excited to announce the newest addition to our illustrious Guest Artist Edition series: Munchkin Sketch Edition Guest Artist Edition! We took the customization potential of Munchkin Sketch Edition, and combined it with the raw artistic might of our coveted Guest Artist Edition illustrators to create the ultimate blank card experience. They each took a crack at one card, and left it noticeably artless to make sure that each card is uniquely empty. Sure, you can draw your own pictures, but why would you cover that amazing void? Just listen to what our artists had to say! "When Steve Jackson personally asked me to take part in MSEGAE and told me who else was involved, at first I was humbled. Then I was amazed. Then I was hungry. Then angry. Then amazed again. And then finally grateful. But overall amazed. People are going to love MSEGAE!" "I was really concerned when they asked me to provide such detailed, delicate ink work for something that would be printed so small . . . but I really think I pulled it off. I really think it's some of my best work." "I pried a pencil from the mighty hands of the Munchkin gods and I realized, yes, I had harnessed the power and light from these astounding beings of pure good. I thrust down this Pen of Odin, touched ink to paper and created the Ultimate Card, a card you now have before you. Enjoy this card, this ARTIFACT, and use it wisely. 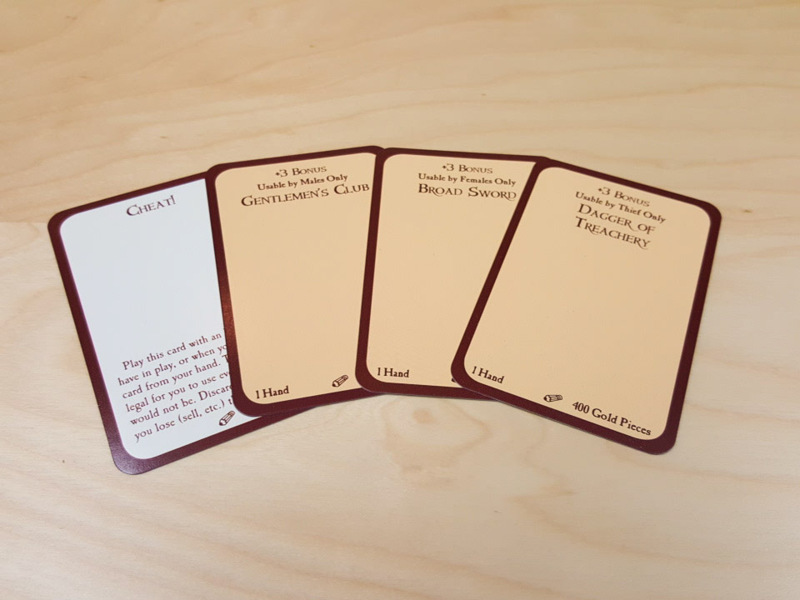 For with great Munchkin cards comes great oh look I'm out of space to write sorry about that." Keep your eyes open for more Munchkin Sketch Edition Guest Artist Edition news in the future!